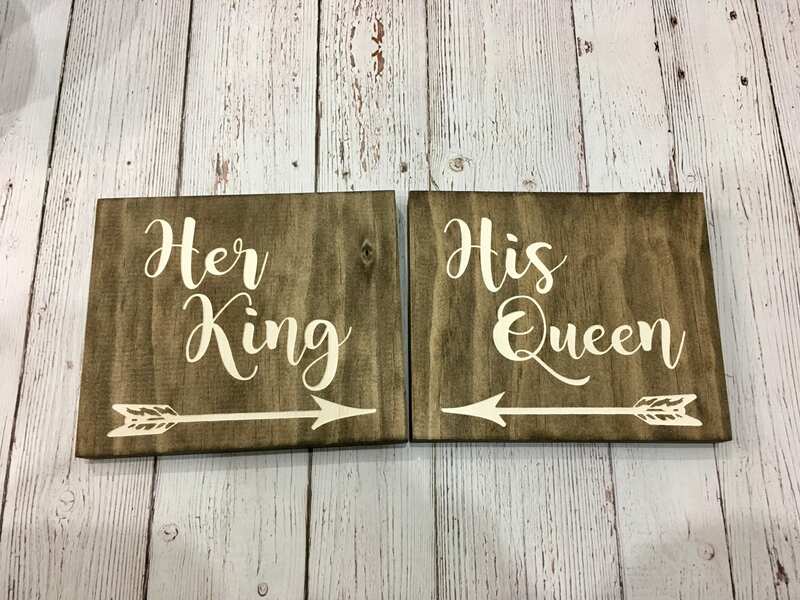 These cute signs would look perfect on the bride and groom table! It add a rustic chic touch to any wedding. Could be converted into chair hanging signs. *WHAT YOU GET* Two stained pine board with that is laser engraved and paint filled (antique white paint).